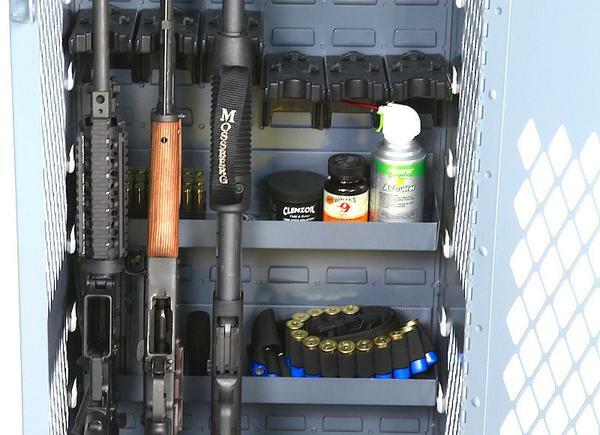 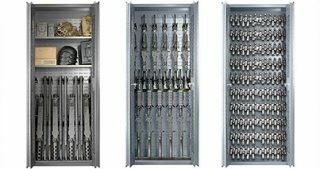 Storage trays fit behind and above rifles and other weapons, providing convenient storage for magazines, optics and other small gear. 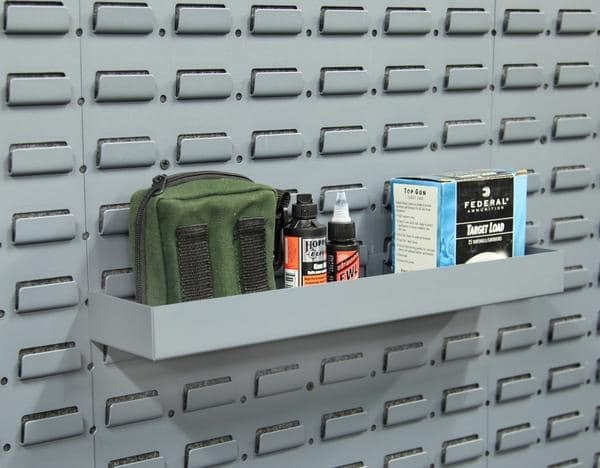 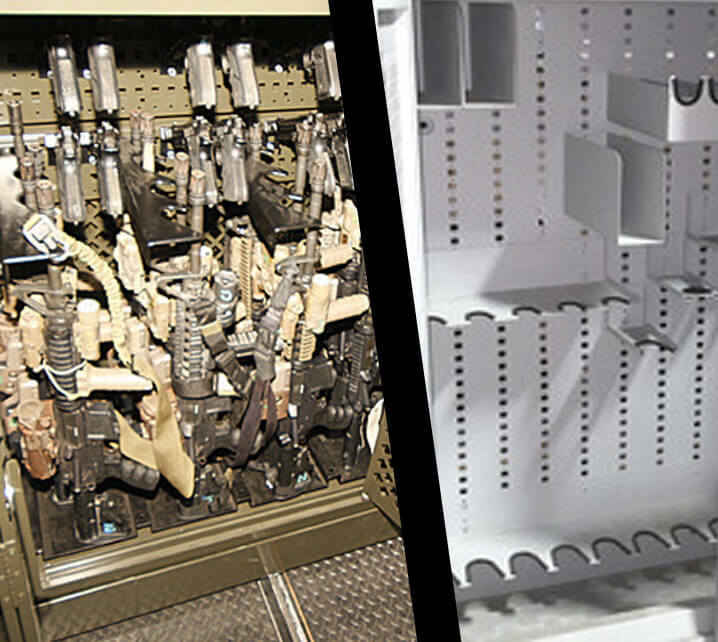 This tray can be used with retrofit kits, cabinets and gun wall kits. 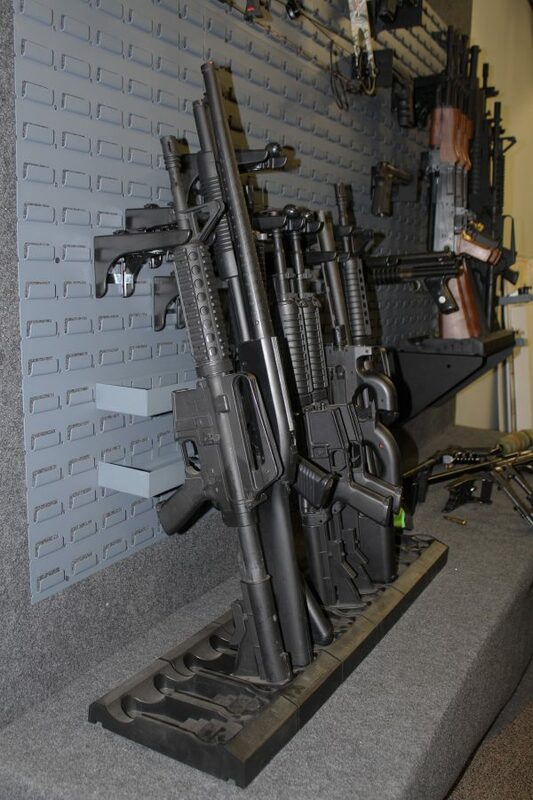 It hangs from six louvers on the back grid. 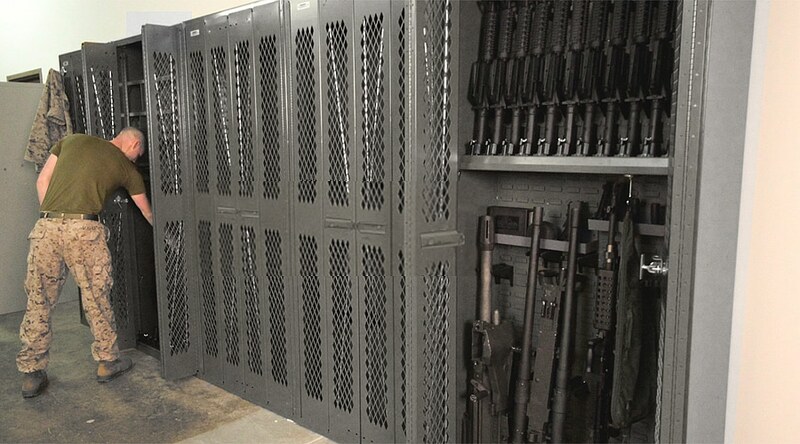 Armory space is some of the most valuable real estate in the world. 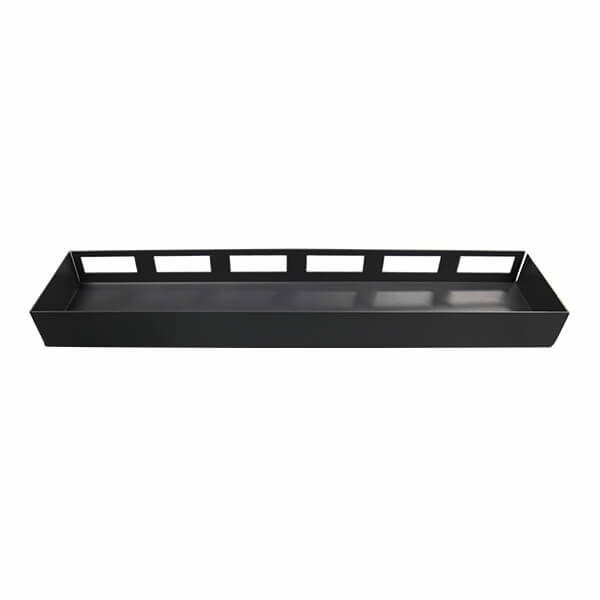 SecureIt storage trays allow you to maximize your storage density.